The following report happened less than a week ago. The report was not submitted through our "report a sighting" link but was instead told to us by someone we know very well. The person who experienced this is a straight forward person, honest and not a person who makes things up. 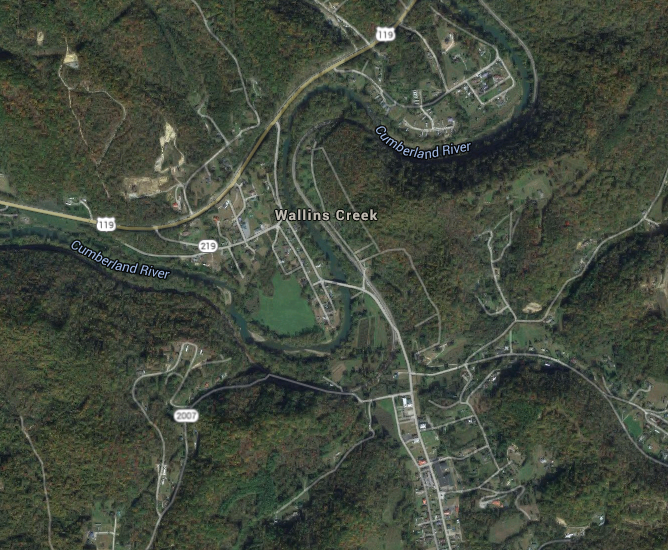 This happened here in my general area, in a place called Wallins Creek. Here is what happened. Someone had passed away and a few people got together to take the family some food. This is a normal customary thing that people do for families that have suffered a death. Well, as they were standing outside the church, they heard this scream/howl from the side of the mountain. They told us that the scream "started off kind of human sounding" but as it went on it grew in volume and got much deeper. Of course, after hearing what he described as "a horrifying sound" he ask the people standing with him what was making the sound. They told him they did not know but that they hear it all the time. So, the guy who heard this got to listen to some sounds of an elk and was able to confirm that it was not an elk. This scream/howl happened in the daytime, which is kind of rare, as most howls are heard at night or early in the mornings. As, for the area, I do know that some bigfoot tracks were found on a couple of the old strip mine roads. They were found by some ATV riders. This area and mountain range ties right into my area and an area of a few reported sightings. With what I know of this area, and the person that told us this, I would say that the scream/howl was most likely made by a bigfoot. Of course, I did not hear the sound but the only thing we have around here that might do that type of sound, would be an elk. But elk was ruled out after he heard it. So, that would only really leave 2 possibilities, either a person or a bigfoot. So that makes it all the more interesting. Events like this are difficult, people want to know why you didn't record it. But it happens so randomly and is so unexpected that there is just no way to get a recorder out. Now, the people who live in the area and say they heard the sound often, could possibly get a recording but I assume most are probably not interested in bigfoot so they don't even think about it. Well, that's all I have at this time. Have a great day and a great Easter Weekend.